An in depth look at what’s happening in our business from the eyes of a “former-equipment guy turned finance” who has a good handle on the industry by working national accounts for the past fifteen years. Sal has been an industry veteran since 1978. His experience stems from being a club owner for seven years and working for three major equipment companies since 1984. Recently, Sal accepted an executive position with ABC Financial as SVP of Client Management. Their amazing focus on customer retention and client partnership is most intriguing to him. Also, he will have the unique opportunity to work with his daughter Sarah who has been with ABC for 1.5 years (see photo below). Sal has witnessed all of the major industry trends from Racquetball Clubs to the Nautilus Fitness Concept to the Big Box and now the high-end experiential Boutique Fitness Clubs. By traveling three weeks per month, Sal is constantly out there meeting with clients, assisting with planning of new facilities and watching the explosion of boutique and small group training options effecting the traditional fitness centers. Sal’s busy travel schedule takes him all around the country where he sees what is hot in programming, design and industry trends. What an incredible time to be in the health and wellness business. We see the fitness business growing, and more and more business models and companies are coming into the space. The franchise fitness business has continued to grow and the boutique fitness models are turning up everywhere. The facility owner and management team must be in tune with industry trends and all of the competitors in their respective marketplace. From my experience, most operators have very busy schedules and it’s difficult for them to track new trends happening in other markets around the country. The purpose of my presentation is to share what I see in the market and provide a working understanding of the strengths and weaknesses of these new business models and how the owner can best respond to these threats. Planet Fitness has grown to over 950 locations now serving around 5 million members, LA Fitness has 640 locations, CrossFit has topped 10,000 locations and is forging Elite Fitness, AnyTime Fitness has more than 2,600 locations, LifeTime Fitness dominates the family market, Crunch Fitness Franchises are in high demand, Retro Fitness has over 100 facilities, YMCA locations exceed 2,600, Equinox owns the luxury market and their HVLC Blink Model and Soul Cycle brands are making waves in many markets. Boutique fitness and the experiential training models are growing by leaps and bounds. The main focus of any fitness club manager is to focus on member retention and development of non-dues revenue. Personal Training and Small group training programs are a key solution to this competitive marketplace. The power of CrossFit, Men’s Health magazine, the Biggest Loser TV Show and Orange Theory Franchise have transformed the industry. The high intensity group training programs (with proper supervision) has certainly entered the minds of many consumers. Every club owner I have spoken with during the past two years has been seeking a solution to this request and need. One of my clients (Town Sports International) has successfully installed their UFX Zones (800 to 1,500 square foot turf area) in 153 locations. In every case, when the UFX zone was installed there was corresponding increase in PT and small group training revenue. Many members are using this UFX Zone for stretching, functional movements and core training. This has been a big departure from the traditional strength circuits and free weight areas. These areas are very cost-effective a covers the costs of the custom turf, TRX tower, Kettle bells, platform, AirDynes and Turbo Trainer Total Body bikes. The key item in the success of developing this area is not simply the space, but the program that goes with it. Here are few great sources for programming ideas and special programs guidelines: Rick Mayo with www.alloyfitness.com, Thomas Plummer of the NFBA (www.jointhenfba.com), Aaron Moser of Perform Better in Providence, RI www.performbetter.com and the Les Mills Grit Programwww.lesmills.com. Don’t try and create this small group training model alone, the above industry specialists have the power to help you succeed in this important profit center. Yes, you probably have three to ten of these competitors in your market right now. CrossFit, Orange Theory, Barry’s Boot Camp, Yoga studios and boutique cycling studios like Soul Cycle & Fly Wheel. Members are willing to pay from $89 to $175 per month for these experiential exercise programs. They pay premium dollars for a results driven program – we just have to offer the right program, have the right leadership and proper member motivation to make this happen. The market is willing to pay in order to achieve their desired results and tell all of their friends in the process. 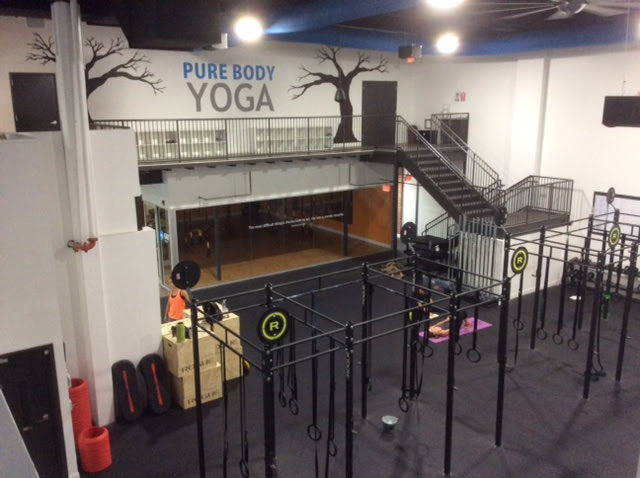 Another interesting development of the Boutique fitness model is the evolution to the larger training gyms. 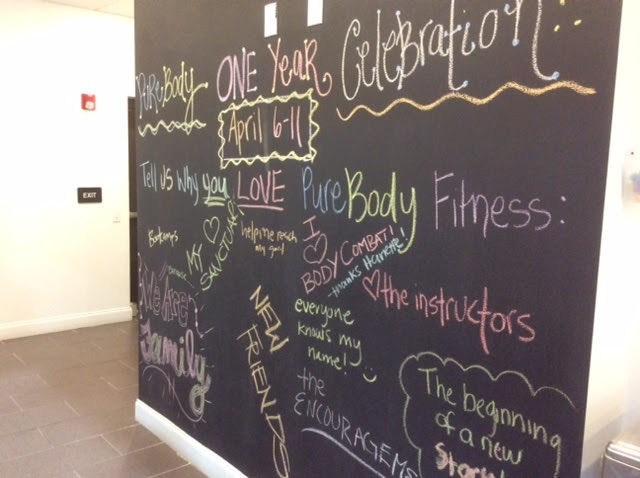 While in Charlotte, NC this year I came across Pure Body Fitness (a 16,000 square foot training gym). Imagine a full service gym offering a combination of a main functional area surrounded by an incredible offering of group exercise rooms (i.e. Yoga area, group cycle room, Treadmill room, TRX body suspension area). Members are paying in excess of $140 per month and getting the desired results they are looking for in a trendy space with inspiration walls and very capable team of professionals. There is another interesting part of the décor in these new boutique centers – the Inspiration walls or motivational boards (see the photobelow). This has become a very personal area of expertise for me. During my 5.5 years of working with Star Trac we had incredible success with selling the Star Trac Spinning brand of group cycles. Actually, we were the world-wide leader in group cycling and because of this fact, I learned a great deal about this space in the market. 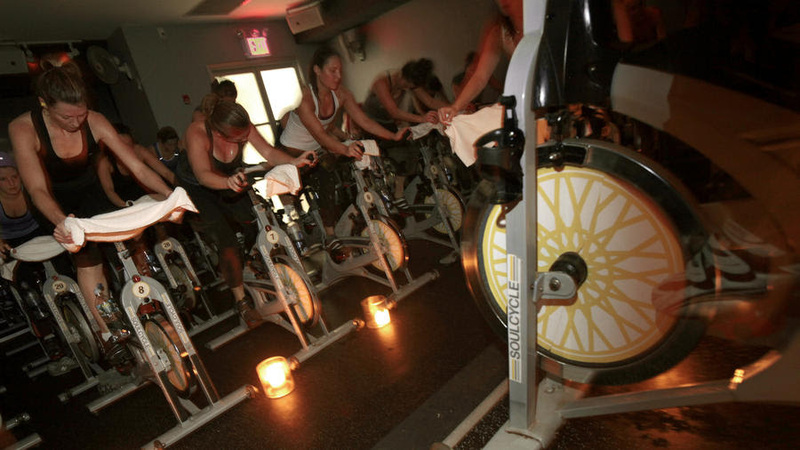 With the rapid success of Soul Cycle, FlyWheel, CycleBar and numerous boutique cycling centers, the traditional health and fitness center cannot compete with their own 650 square foot space, with eight year old bikes, lousy audio/light experience, and mediocre instructors. 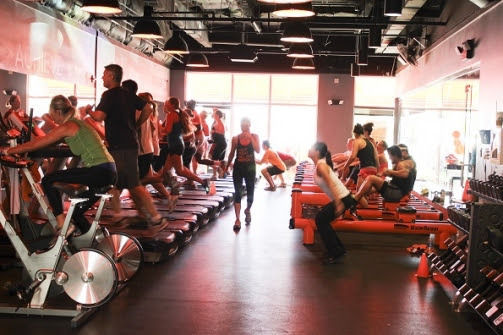 Why are members paying up to $35 per class in New York, Boston and LA? It’s all about the experience. One of my clients (Gordon and Skip Johnson owners of Gold’s Gym in West Cobb and Douglasville, GA) did an amazing job in upgrading their cycle room. With $40,000 and a very thoughtful plan, they transformed a very dated room into a wonderful cycling experience. So get moving my friends and improve your lighting, sound system and upgrade those dated and rough riding bikes. 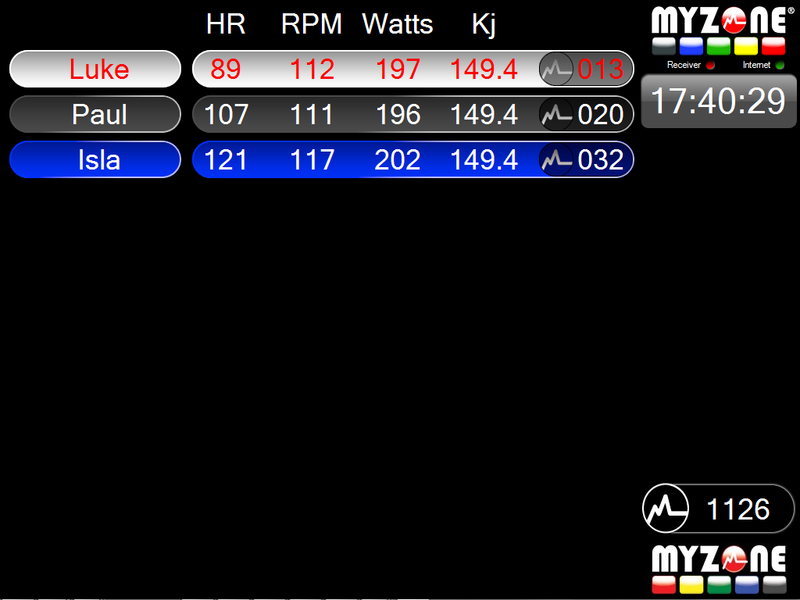 Also, all of the new cycle franchise groups are offering a wide array of technology feedback systems: MyZone and Performance IQ where they capture the work load, heart rate a calorie burn of all the participants and displayed their scores on monitors to show their level of improvement and motivate their participants. Again, it’s all about the experience and quality of the ride (instructor motivation, leadership, room design and quality of bikes used). Another growth item in this segment is the interest in offing Cycling programs based on Power (measurements of Watts). The Spinner Blade Ion by Star Trac, The Schwinn Perfomance AC, Matrix and Free Motion all offer a very accurate modality for Power Training. There are two important items to consider – the higher cost of the bikes (usually $500-$800 more than the traditional commercial group cycle bike) and the need for instructor Power Training (usually a $2,000 additional cost). I am big on education so I highly recommend this for your instructor team. This segment has continued to grow and thrive. Planet Fitness is approaching 1,000 locations and America loves the $10-$20 club model. In my opinion PF turned our industry upside down and really effected the marketplace and spawned the growth of the functional training gyms and programs. Club owners had to differentiate themselves in the marketplace to complete with this low-cost membership model. Retro Fitness has created a very successful business model (especially after their appearance on Undercover Boss) and experienced consistent growth around the country. There are a bunch of regional HVLC players around the country, Crunch Franchise, Blink Fitness (by Equinox), Fitness 19, and 10 Fitness in Little Rock. I have been training there for the past four weeks and enjoyed my experience. The big boys have controlled the market for decades and still do for the large part. If an LA Fitness, 24 Hour Fitness, Equinox and LifeTime Fitness comes to your market, get ready to do battle. They are a powerful force to contend with. Their business models are strong and their marketing muscle blankets the community when they come to town. LA Fitness builds beautiful 40,000-60,000 sq ft facilities with a pool, basketball court, large indoor cycling room and tons of strength lines and cardio. Recently, I see that they are adding a functional fitness space for small group training. LifeTime Fitness has dominated the family fitness market. They just opened their second multi sports center in Raleigh, NC – they are doing extremely well and own the family market with branded programs and incredible focus on numerous branded profit centers. Equinox owns the high end market by placing beautiful centers in the richest zip codes in the country. Their HVLC Blink Model is growing and now they are selling a franchise business system. Another interesting trend is the willingness of large national players to build clubs right near another big box club. Two markets in the northeast that come to mind are Paramus, NJ and White Plains, NY. 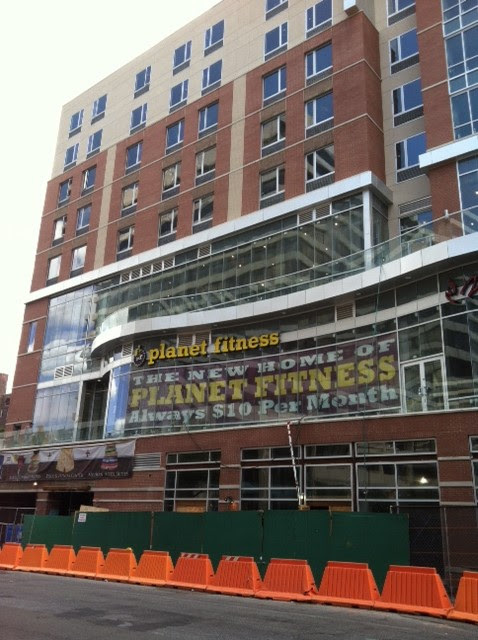 On one corner in downtown White Plains there is a Crunch Franchise, new Planet Fitness and a New York Sports club on the same street corner. Paramus, NJ has an Equinox, LA Fitness, New York Sports Club, 24 Hour Fitness, Blink Fitness, Retro Fitness, Gold’s Gym and a new Hospital Wellness Center all within a 2-3 mile radius. Competitors are not afraid to go right at each other. There are also strong regional players who have earned incredible success and reputation in various markets around the country such as Town Sports International from Boston to Washington DC. They’ve gone back to their roots by opening four new 17,000-20,000 square foot neighborhood fitness centers in NY and Boston in the past year. 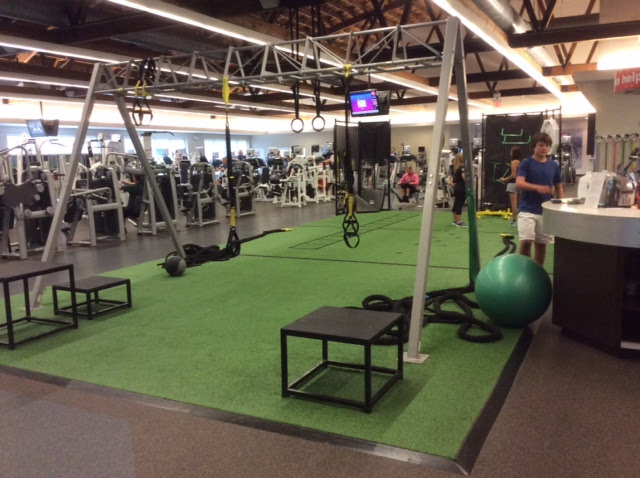 Xsport Fitness based in Chicago, has a fantastic model that has incredible success with multiple profit centers especially in Personal Training (PT) and retail. Also, Gold’s Gym (a legacy of strength) corporate now owns over 150 clubs and celebrated their 50th anniversary this year in Dallas. Arnold Schwarzenegger brought down the house with a special appearance by accepting his Hall of Fame award, it was a very special event. As I started to draft this section on technology trends I happened to view this article on how technology will affect our industry. Please take the time to read this informative viewpoint: http://blog.netpulse.com/the-club-of-2020. Now back to the article. In my opinion the two biggest technology discussion points have been the advent of wearable technologies and mobile applications. The FitBit commercials on TV and social media are visible on a daily basis and the question is? How can a club owner use these technologies to enhance exercise adherence or drive people to the club. I noticed a YMCA association who had a unique partnership with Blue Cross Blue Shield (BCBS). They offered discounts to members who used the FitBit to monitor their daily activity. FitBit and BCBS Club Applications is another big item for discussion and Netpulse is leading the way in this field of play. On a recent visit to a Retro Fitness club conversion in Raleigh, I noticed a poster detailing the benefits of their new mobile app. It’s time to get moving in this direction – make this a priority for the busy winter season. If budgets are tight and you are trying to make an impact with your members from a technology standpoint. Make your center a WIFI hotspot – from the lobby to cardio area. Let the member bring in the technology devise they prefer – it saves you a lot of money. We certainly covered a lot of ground in the article, but in closing I want to share the following information. First of all, think like a member again. The next time you walk into your club–tour your facility–and be critical of every aspect of your walk through (where can you improve, what needs to be updated or replaced). Please note the following summary below: Invest in continuing education for you and your key department managers. 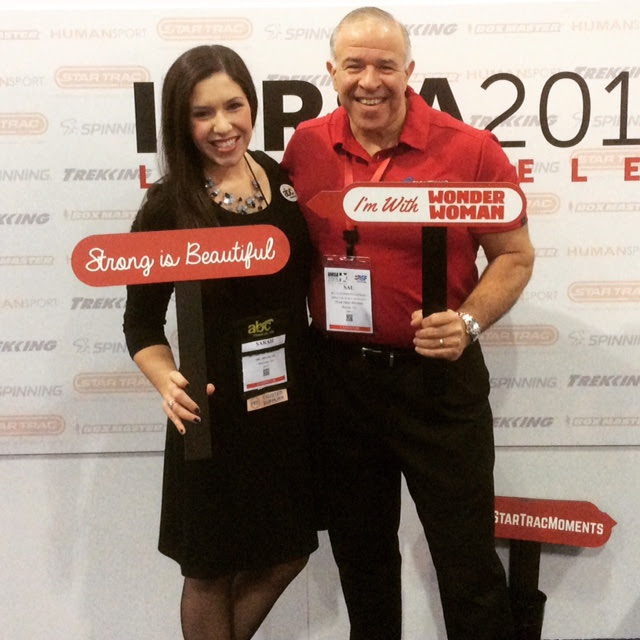 I suggest you purchase IHRSA’s Profiles of Success. You can download a free preview or purchase the Profiles of Success here). I want to thank you for the read today. If you have any questions, please feel free to reach out to me directly at sal.pellegrino@abcfinancial.com or to Jennifer Hutchinson, Marketing Director with ABC Financial Services at Jennifer.Hutchinson@abcfinancial.com. Sal Pellegrino is the SVP of Client Management at ABC Financial. Their company mission is two-fold: to be the resource for cutting-edge technology in the health and fitness industry and to maximize collections from the highest percentage of members on a daily basis. ABC’s core leadership is comprised of Jim Bottin, Founder and CEO, alongside a powerful executive team, all with years of experience as fitness industry veterans. Jim Bottin’s history in the industry began in 1974 when he opened his own martial arts studios in Arkansas. Five years later, he began expanding those studios into fitness centers. In 1981, ABC Financial was founded as a solution to the software and payment processing needs for Mr. Bottin’s own chain of 13 health clubs. Beginning as a specialized solution for the private owner, ABC was so effective we quickly grew to a client base outside of Mr. Bottin’s ownership – our client base is now approaching 7,500 health and fitness clubs throughout the U.S., Canada and Puerto Rico. By learning from our solid foundation and successes of the past, ABC management remains devoted to focusing on the future – staying on the cusp of industry evolution in service and technology, as well as providing the highest level of commitment to our customers’ success. We believe our customers should expect the highest standards of service from us because we expect no less from ourselves. It’s what has made us the industry leader. When partnering with ABC Financial, you should expect the most up-to-date software and benefits only ABC can provide.